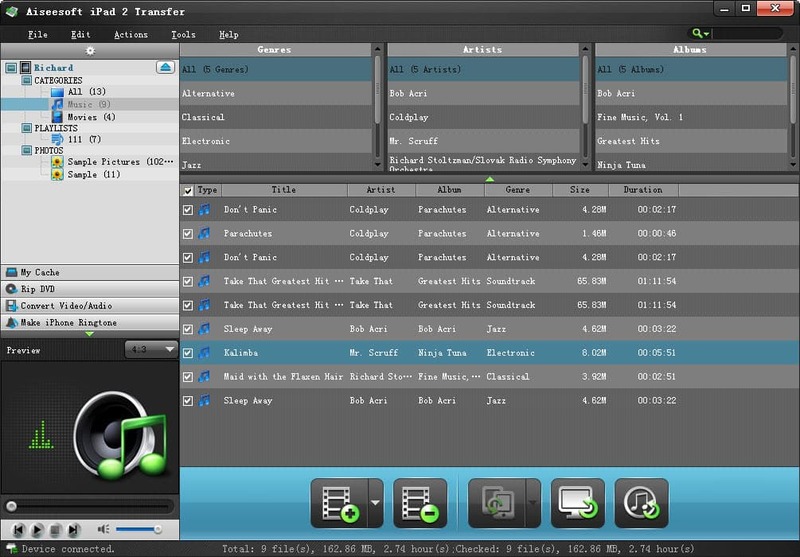 Aiseesoft iPad 2 Transfer, the best iPad 2 Manager, is able to import video, audio and photo files from computer local disc to your iPad 2, and export iPad 2 files to your computer for backup. With it, you will have no worry about the files missing. 4Videosoft DVD to AMV Converter is a multifunctional DVD to AMV converting tool and you can free download DVD to AMV Converter to convert DVD to AMV files.Besides converting DVD to AMV, it also supports DVD to MTV, MP3, MP2, WAV conversions.